This year's expo will be the first time players can get a hands-on look at the game. The Electronic Entertainment Expo is soon to be upon us, and since Nintendo has the hottest system on the market, players are expecting a big showing from the gaming powerhouse. Nintendo has outlined much of what they're bringing to this year's E3, and while much of it looks as exciting or more exciting than fans might expect, the real highlight of the show is going to be Super Mario Odyssey. 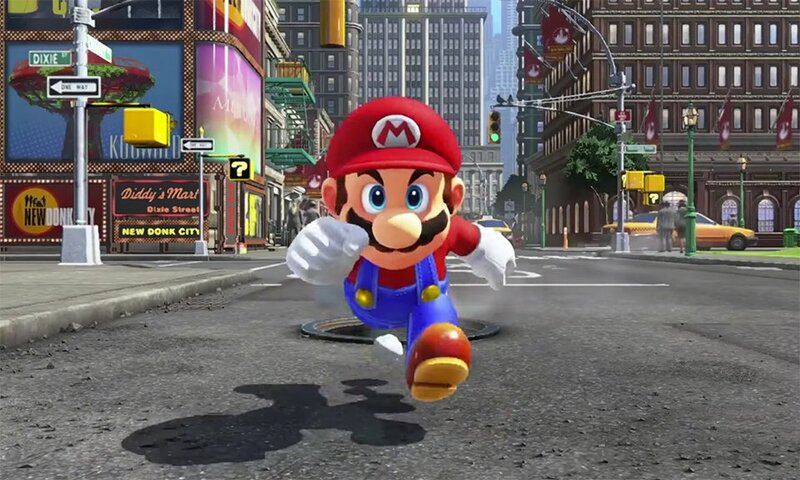 Players have seen the screen captures and watched the trailer, but this year's E3 will be the first time that they'll be able to get their hands on Super Mario Odyssey and begin to explore the game's sandbox-inspired world. The recent Super Mario Odyssey trailer raised many questions, particularly on exactly how a sandbox-styled Mario title will work and whether or not the presence of humans implies that Mario is an alien, but until gamers get their hands on the title, all we've got to go on is speculation. Judging by Nintendo's announced plans for E3, players can expect a whole lot more than just Mario. Nintendo will be hosting their usual Nintendo Spotlight presentation and will return once again with the Nintendo Treehouse: Live at E3 presentation, which will show off trailers and give details for new and upcoming games for the Nintendo Switch. They'll also be hosting two tournaments, one for their combat/boxing title ARMS as well as one for Splatoon 2. Nintendo's E3 festivities are set to kick off in Los Angeles on June 13 at 9 a.m. and run all the way through the end of day June 15. Before you see the latest, check out the greatest Switch titles with our list of the Best Nintendo Switch Games.